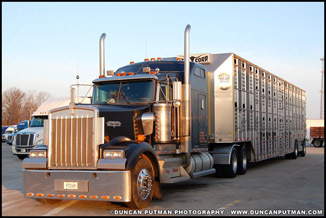 DuncanPutman.com - Cool Photos of Cool Trucks, Interviews, News and More! Welcome to the Official Website of Duncan Putman Photography! As a premier online destination catering to trucking enthusiasts, truck drivers, owner-operators and fleets of all sizes, There's something for everyone here on our website. From our Truck of the Month, Photo of the week, Industry Spotlight, Trucking News and more, we share your passion and pride for the Trucks of the Trucking Industry! If you love trucking photography, we got you covered! Join our Exclusive Members Only Section, and get access to thousands of Cool Photos of Cool Trucks! Old Macks never die, They just get new owners! 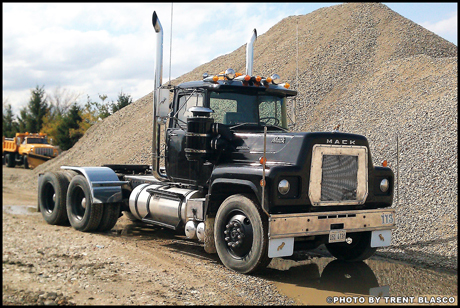 Check out Trent Blasco's beautiful black Bulldog, a Hayward built 1977 Mack RS700L! 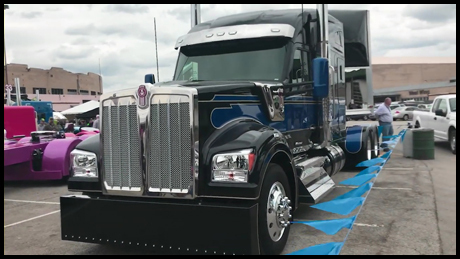 Interview with Don Blake about the "Everyday Heros" 2019 Kenworth T680 that will be auctioned off on May 17, 2019 at Ritchie Bros. in Phoenix supporting the Truckers Against Trafficking mission! 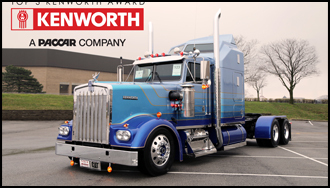 Check out the Top 3 Award Winning Kenworths at the 2019 MATS PKY Truck Beauty Championship! 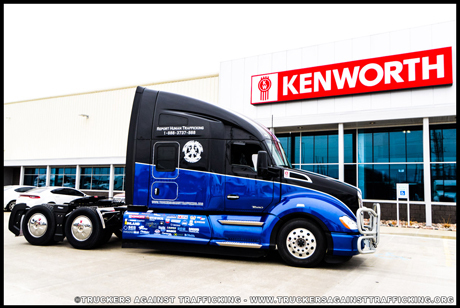 Kenworth was a title sponsor of the 2019 PKY Truck Beauty Championship. Check out a W990 show truck parked on display! 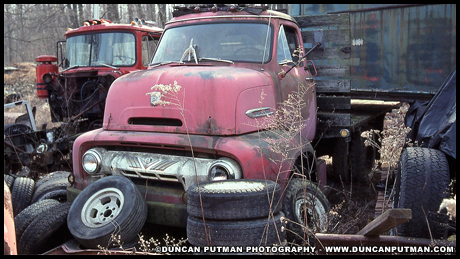 A great shot taken by Duncan Putman of a 1954 Ford C-600 sitting silent in a New Holland, PA truck salvage yard in 1992.